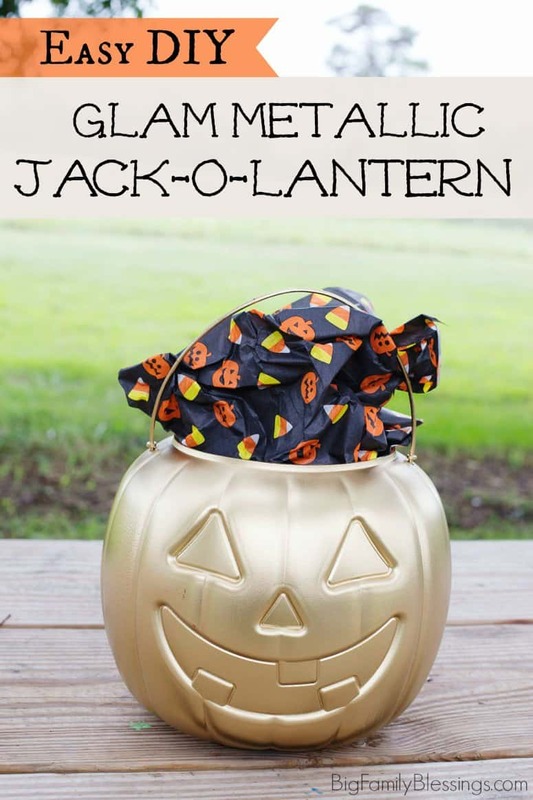 This easy to make, DIY Glam Metallic Gold Jack-o-lantern is perfect for trick or treating or adding glam Halloween decor to your house. 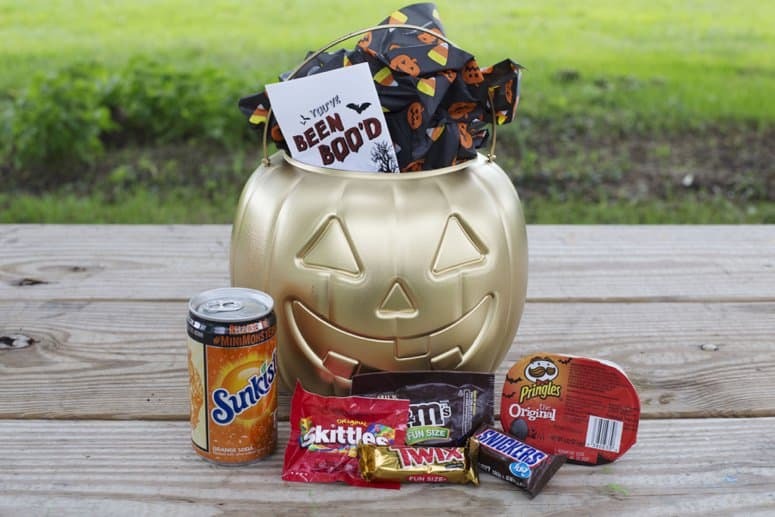 I originally planned to use my glam metallic jack-0-lantern to give treats to family and friends. (Did you see my BOO’ing video on Instagram?) But once I painted one pumpkin gold, my girls wanted to paint all the pumpkins gold! This project is so quick and easy, you won’t believe it. 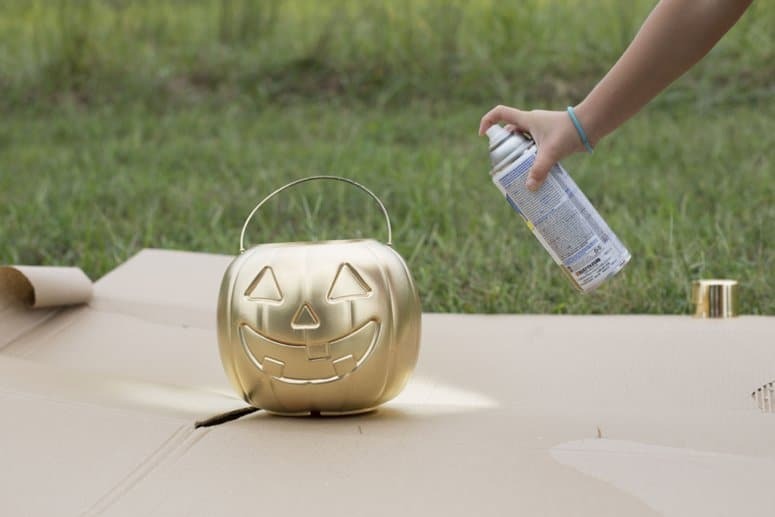 Simply grab a plastic pumpkin, and spray paint it gold! 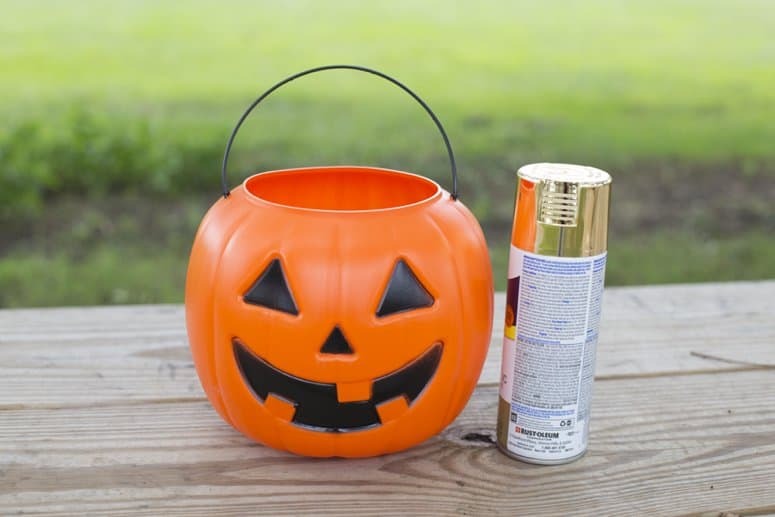 Be sure to buy spray paint made for plastics, and clean the surface of your pumpkin before painting. If you are using the pumpkin for decor, you should have no problem with the paint chipping off. I would recommend roughing up the surface of the pumpkin with sandpaper for use trick-or-treating to ensure that the paint stays on the pumpkin. That’s it! Just let your pumpkin dry, it will take less than 24 hours. You can add a second coat of spray paint if needed after 24 hours. What Halloween plans does your family have this year? So easy! And it looks so much better than the orange. I may try this! 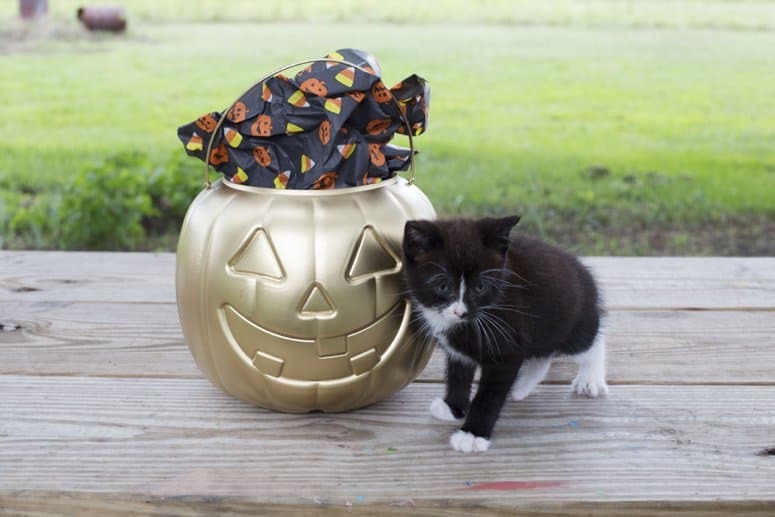 This is the cutest pumpkin ever! It seriously made me smile. And the boo-ing video was adorable. What a precious grandma! This is so cute! I know so many kids that would love to carry this around to collect candy instead of the traditional. What a great, easy idea! I'm loving how chic it looks. Totally trying this! Ok, that's easy enough and super cute!! I love it, great job mama. Could be cute with a pretend plant in it too! That is so cool! I can't believe I didn't think about it! LOL- I'm so doing this, but in silver! Thanks! We are trick or treating with all the aunts and uncles and cousins! So very excited. These golden pumpkins are adorable. We might need to do it and also that kitten is everything! We might spilt up this Halloween. My girls are getting to the age that they all might want to go with their friends.